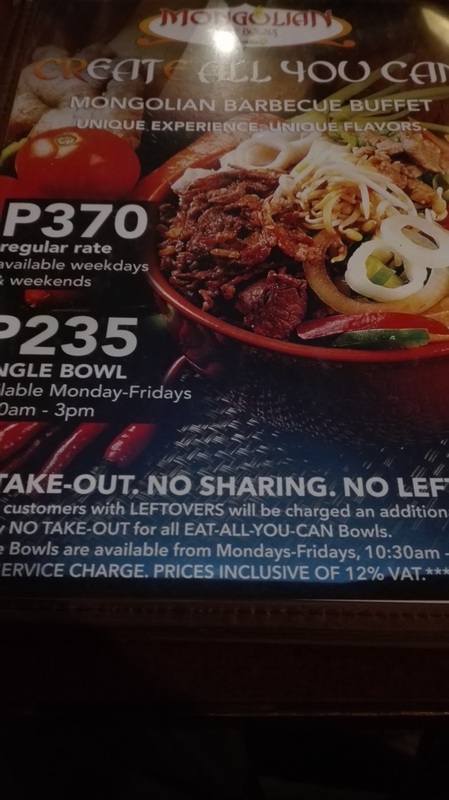 I’ve been craving for Mongolian for quite sometime. 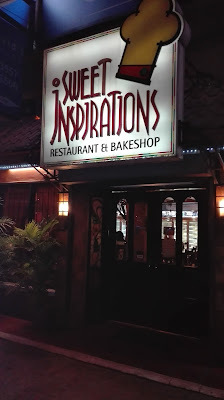 So after watching the play directed by a friend in Ateneo, I invited my friend and officemate, Helen to Sweet Inspirations, along Katipunan Avenue. The first time I went there was around 5 years ago, when I had a dinner with my former boss. Because I controlled my consumption of rice, I’ve never eaten Mongolian food for as long as I can remember. But the moment I saw the restaurant sign of Sweet Inspirations on our way to Ateneo, I immediately decided that I should be eating there after the play. So we did! I gave in to temptation! 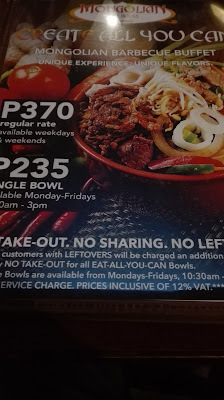 We ordered Mongolian Rice Bowl for Php 370 (price for weekend), unlimited. 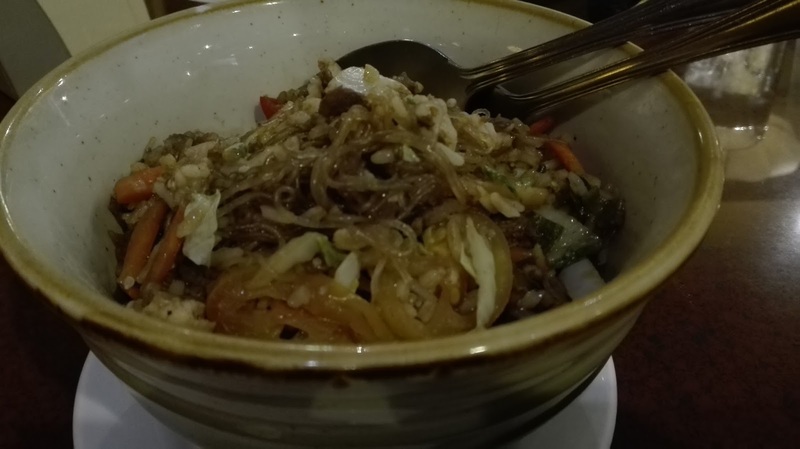 What I love about Mongolian is the experience of creating your own mix. You choouse rice, noodles, veggies, meat, seafood, among others. You can also select which kind of taste you’d like – sweet and spicy, spicy, etc. They have a sign there to guide you. If you are a bit adventurous and experimental, you can neglect the guide altogether and just create according to your taste! Be adventurous! Mix these ingredients as you like! 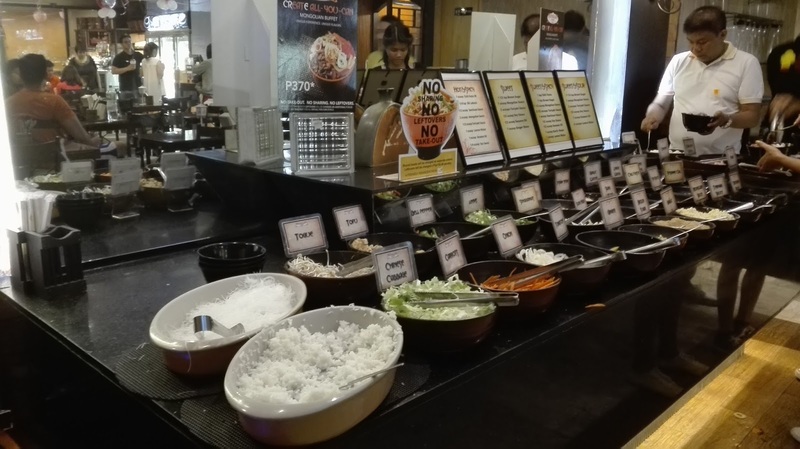 After putting everything in your bowl, they will cook your mixture and serve it to you hot! 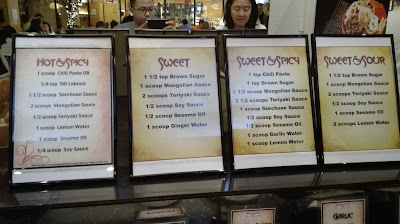 And since it’s unlimited, you can try various flavor and combination! I missed this so much that I wolfed down 3 bowls!